Typical Scotland – one minute we were baking in the sunshine, today it was back to synthetic jackets, hats and gloves! 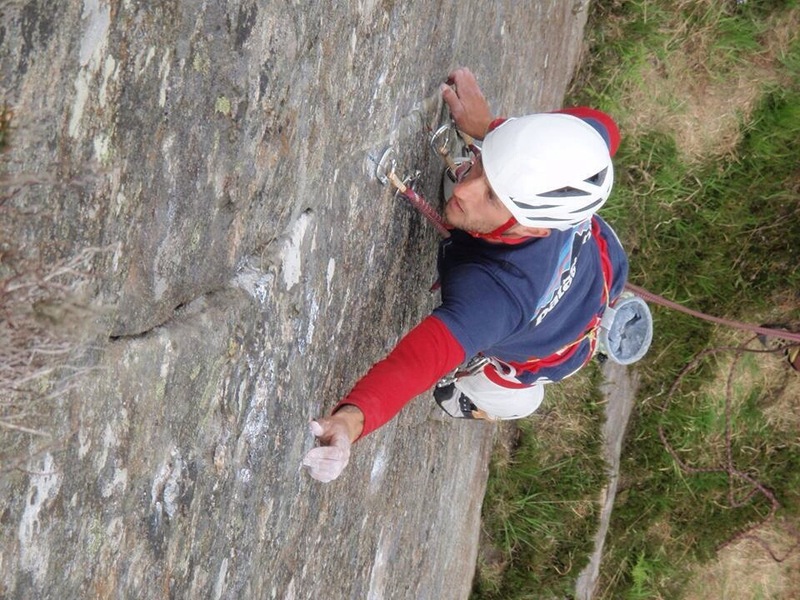 Yesterday I was climbing at Lochailort Slab with Kev, Andy, Dave, Donald and Euan each of us with our own agendas which meant there was a competitive feeling in the air; something I’m not very used to at the crag. I was keen to work Frustration (E5, 6a) whist Kev and Donald were both keen to check out a section of slab with no recorded routes on it. After a bit of cleaning Donald was keen to try and flash a nice crack line which ended up being a nice E3/4, 6a he named Milky Way. Euan made a quick second ascent and by the end of the day I managed to grab an ascent too, all be it after falling off the last move at the top of the route! The blank looking slab to the left of Milky Way is pretty much the last plumb line left to do on the crag. A bit of top rope competition ended with Kev stepping aside and Donald deciding he wanted to try it first. After a fall at the initial break Donald managed to get himself up the route, just managing to hold it together on the upper wall. 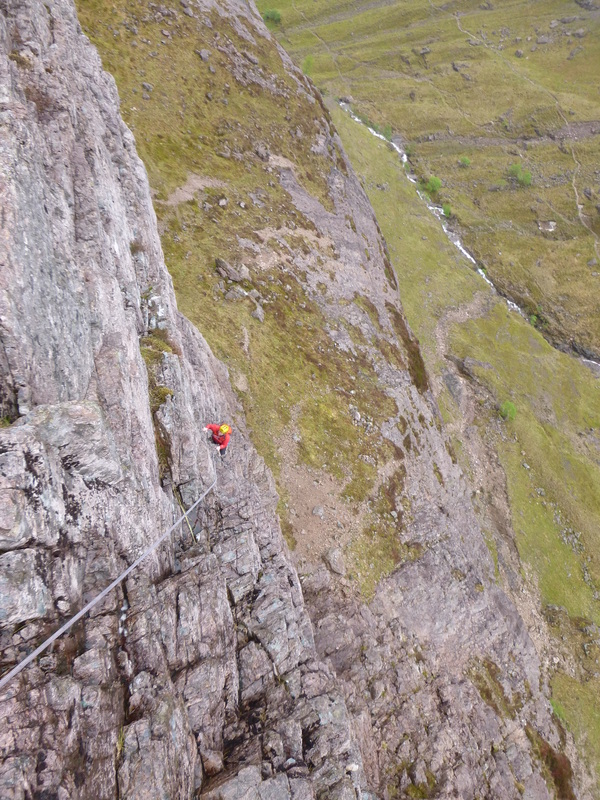 It felt quite scary to watch from above but clearly worth it for him as he was rewarded with Skywfall E5/6,6a/b – a great effort. 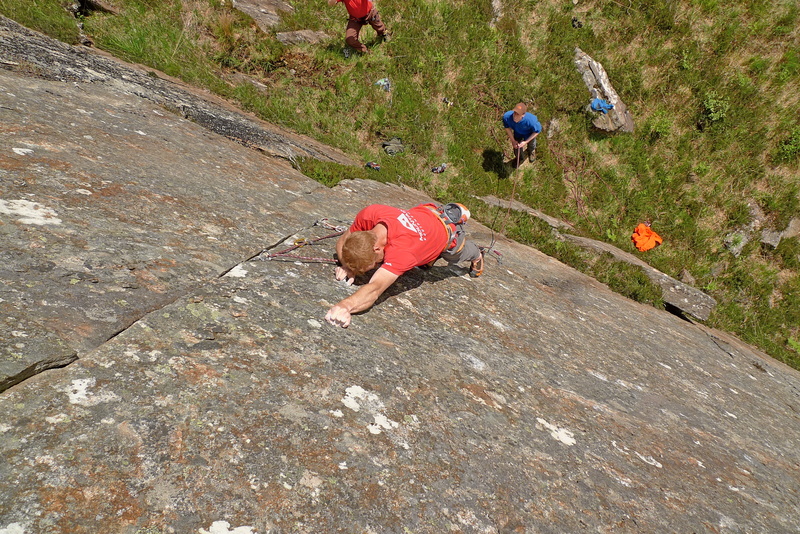 Euan made the second ascent of this shortly afterwards, which for a professed boulderer was bloody impressive. 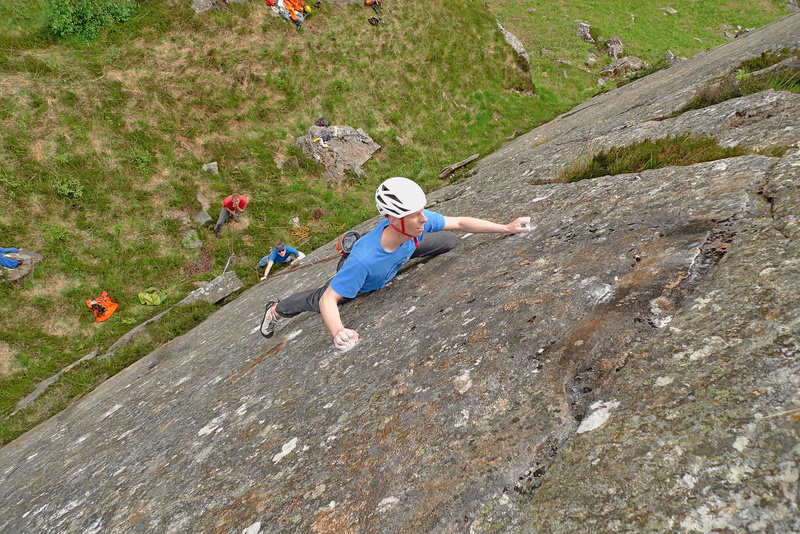 It wasn’t the end of Euan’s day though as Kev’s route Rebellion E6, 6b also got its second ascent. What a difference a day makes. This morning dished out more typical Scottish weather so Dave and I had a day scrambling and climbing around Aonach Dubh East Face, getting the movement and hill time in the run up to our Alpine trip this summer. I was also keen to get a good look at what rock is left to explore in this area as there is so much up there with no recorded routes. My new GPs from Cotswold Outdoor came into action here, helping us to confirm from the guide and the map what has and hasn’t been done.